Meet Nancy Mills, founder of The Spirited Woman (www.thespiritedwoman.com), a leading women’s empowerment community. Known for her inspirational insight and interview style, for many years Nancy moderated the Spirited Woman Circle, an exclusive conversation series with famous women authors, actresses, radio personalities, editors, and more. She also led the creatively playful Spirited Woman Workshop in cities across America. Almost five years ago, Nancy created a very special project, The Sisterhood of the Sacred Scarves, bringing spirit-minded women together from around the globe. The Spirited Woman Prayer Scarf (www.thespiritedwoman.com/prayer_scarf) is a symbol of spirit, empowerment and beauty. Nancy is wearing the latest scarf, NAMASTE, now available for purchase. (I just received mine!) A portion of all scarf proceeds is donated to the Spirited Woman Foundation (www.thespiritedwoman.com/foundation) to help heal and support women through actions of empowerment. To date, there have been 16 scarves introduced, each representing a different theme. 100s of women worldwide have purchased 1000s of scarves. Approximately $10,000 has been given to 12 different non-profits, including Sojourn Services for Battered Woman and Their Children, My Hope Chest, TreeSisters and Team Think Pink, Inc.
D: How did you receive the inspiration for Sisterhood of the Sacred Scarves? D: How have the scarves impacted women? Sisterhood of the Scarves empowers women at every level — from those purchasing and enjoying them, the camaraderie of meeting other women through the social media, and finally, the funds that support women’s causes around the world. Nancy ~ And it is particularly poignant, now, with our current scarf NAMASTE. “Namaste” means “I bow to you,” and its meaning is often translated as, “When I see the light in you, and when you see the light in me, we are one.” This scarf I know will bring out the natural healer in all of us and act as a connector of divine feminine leadership. The Spirited Woman, founded by Nancy Mills, spotlights spirit-minded women in various fields around the globe. The Spirited Woman Foundation raises funds and donates to charitable organizations that heal and empower women. Four times a year 12 books are picked that illuminate and inspire spiritual and emotional growth. I’m very honored to be included in this newly released list. Please check out the other fine books and authors on the list. SPRING is the time of new beginnings, reinvention and rejuvenation. On our Spring Top 12 Book Pick list, we’ve included an array of gifted authors to help you be inspired. We urge you to support these spirited talents! Save this list all year round! A great book resource for you. 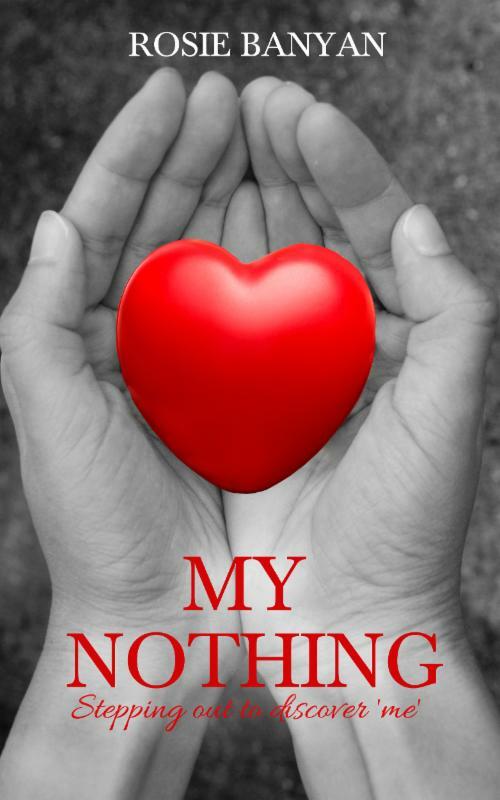 MY NOTHING – Stepping out to discover self. Rosie revisited her broken childhood to forgive and release her past. Ultimately beginning her personal healing. Trust led her to a 1,000-year-old Banyan tree who like a mother provided comfort, allowing new found wisdom. A story of Rosie’s empowering quest to discover the nothing space deep within. From nothing you have everything. www.rosiebanyan.com. 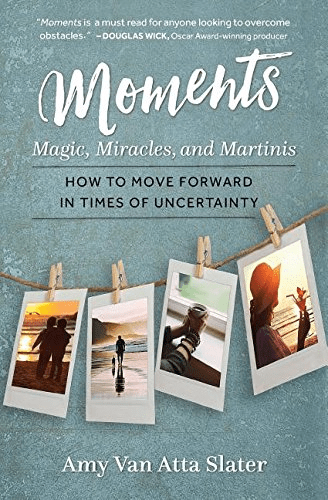 MOMENTS: MAGIC, MIRACLES AND MARTINIS – During times of uncertainty, challenges and change, how do we find a ray of hope to move forward? In Amy Van Atta Slater’s bestselling book, she offers a torch of inspiration, motivation, mindfulness and authenticity that illuminates even the most desperate of situations with possibility. Order your copy today to see what the buzz is all about: www.AmyVSlater.com Amazon. 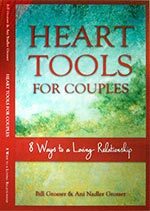 HEART TOOLS FOR COUPLES: 8 WAYS TO A LOVING RELATIONSHIP – Offers simple but profound tools for anyone wanting to bring more love, understanding and deeper connection into their relationships. The book is down-to-earth, drawn from Ani and Bill’s 30-year marriage and work as therapists, winning much praise from relationship and visionary pioneers Harville Hendrix and Anodea Judith.compassionaterelationships.com. 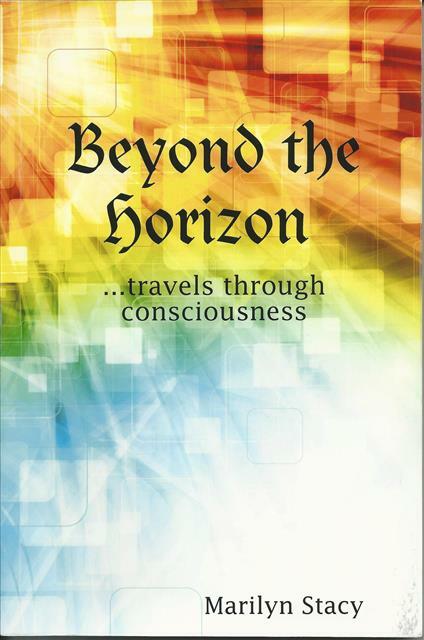 BEYOND THE HORIZON – by Marilyn Stacy, describes astral (out of body) travel based on her own experiences. She writes of having lucid and precognitive dreams, spirit visits, and past life experiences, and how to see auras, to dowse, and more. Her book offers instructions that can open new dimensions to those who are curious and willing to believe. www.marilynstacy.com lulu.com. 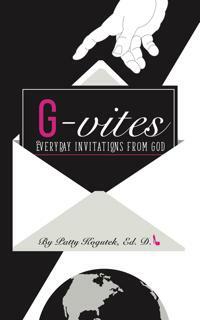 G-VITES: EVERYDAY INVITATIONS FROM GOD – by Patty Kogutek, Ed.D. is a handbook for practical spirituality. In this book Patty shares how she found God in ordinary circumstances after living as a nun for seven years. You will identify the Divine, dwelling in your everyday life. You will discover how to interpret these lessons to give purpose and meaning to your life. www.pattykogutek.com. 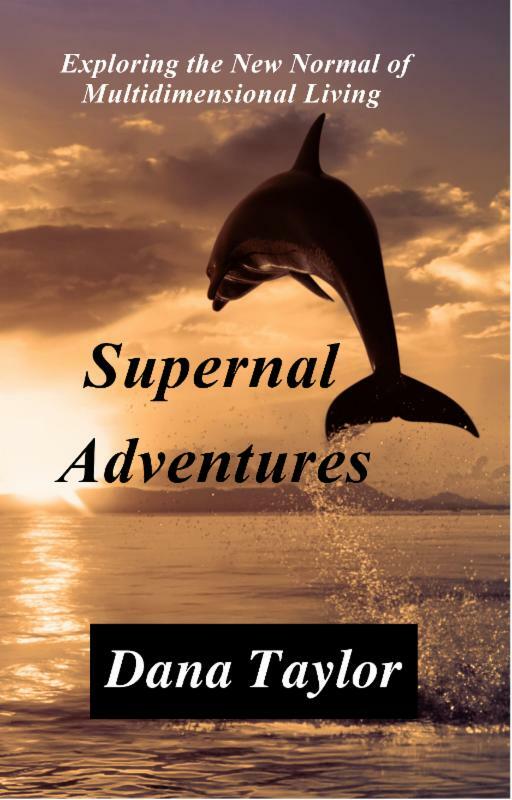 SUPERNAL ADVENTURES: EXPLORING THE NEW NORMAL OF MULTIDIMENSIONAL LIVING – What happens after a “miracle healing?” Author Dana Taylor and two friends set out to understand the mysteries behind the miracle. Their mystical experiences weave through the subjects that arise – Energy Healing, Past Lives, Akashic Records, Pre-Life Planning, Spirit Communication and more. Welcome to the New Normal.Amazon SupernalLiving.com. 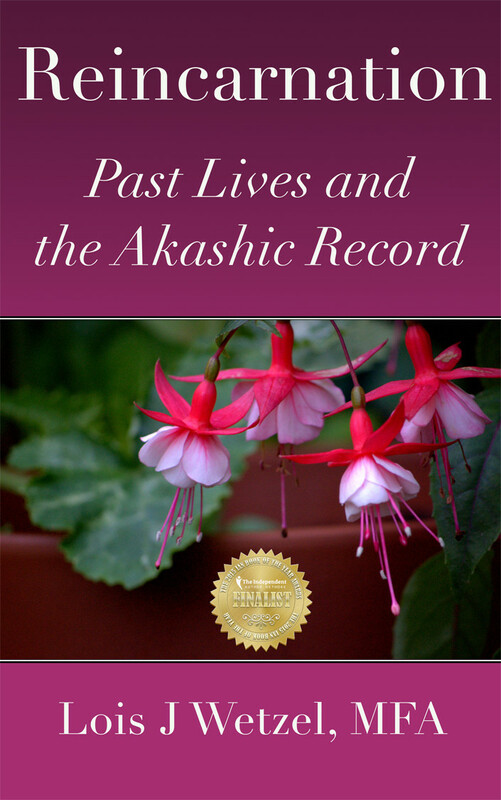 REINCARNATION: PAST LIVES AND THE AKASHIC RECORD – by Lois J. Wetzel, MFA. This is Lois’ second book on case studies of past life readings. What she sees resonates deeply with her clients, and that knowledge can powerfully heal them of still active ancient past-life trauma. Parallel and overlapping lifetimes are discussed, and spontaneous past life memories.HotPinkLotus.com Amazon. 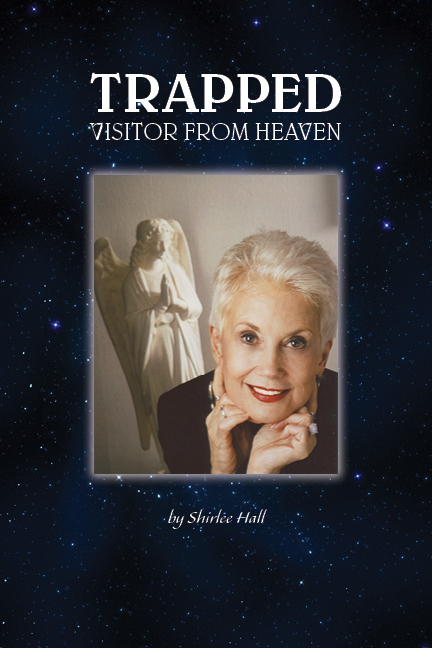 TRAPPED: VISITOR FROM HEAVEN – A redemptive story narrated by Archangel Ramiel. A woman’s firsthand experience rising from the depths of abusive power that led to a persistent search for truth, psychic and spiritual phenomena, complete surrender and a healing likened to a modern day resurrection. The heroine’s journey demonstrates the power of faith and the force of the mind. www.behealedforever.com Amazon. WHOSE COUCH IS IT ANYWAY? – Highlights insightful stories about five families – you’ll find solutions to the challenges of living with Boomerang Kids. Over 20 million Millennials have moved home, are underemployed and carrying over $1 trillion in student loans. These are the cold facts behind this dilemma. 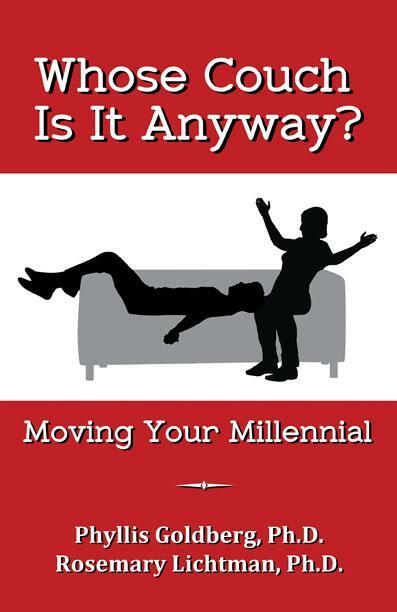 Learn how to communicate, compromise and cooperate as you navigate the generation gap. Amazon. 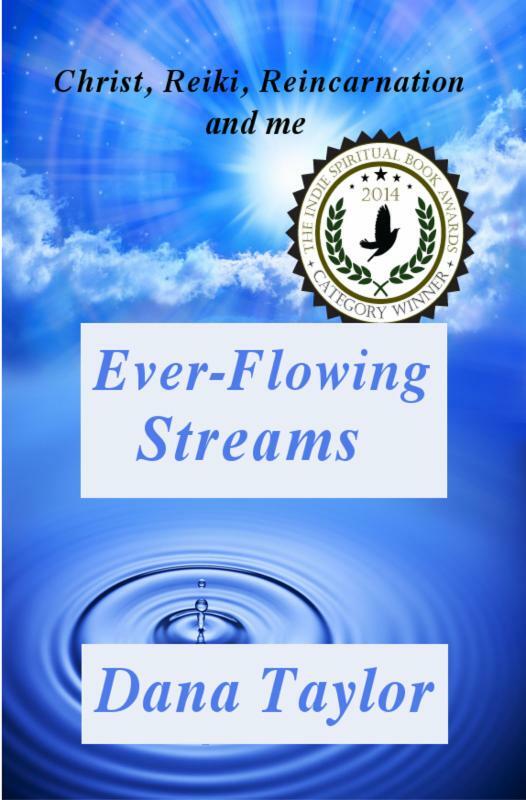 EVER-FLOWING STREAMS: CHRIST, REIKI, REINCARNATION AND ME – 2014 Indie Spiritual Book Award Winner. Go see that woman! Despite trepidation, author Dana Taylor heeds the internal command to set an appointment with a Reiki therapist. She receives not only healing, but a whole new world view. Break old cultural barriers with this engaging spiritual memoir. Available at Amazon SupernalLiving.com. 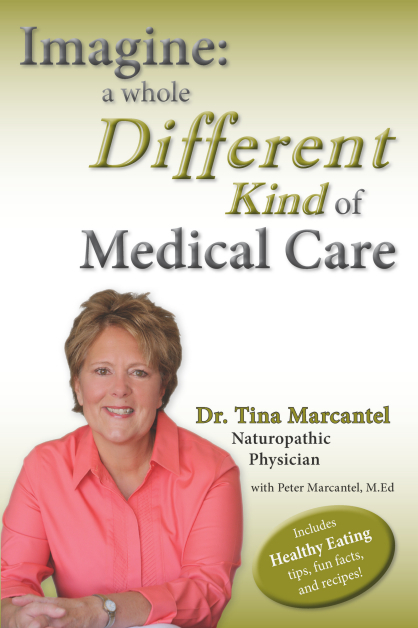 IMAGINE: A WHOLE DIFFERENT KIND OF MEDICAL CARE – by Dr. Tina Marcantel. A practical, empowering guidebook to understanding root causes of chronic health issues like fatigue, insomnia, anxiety, fibromyalgia, and more. Dr. Marcantel explains in simple language how stress and lifestyle affect hormonal imbalances that lead to common conditions and tells how you can take charge of your health! DrMarcantel.com. 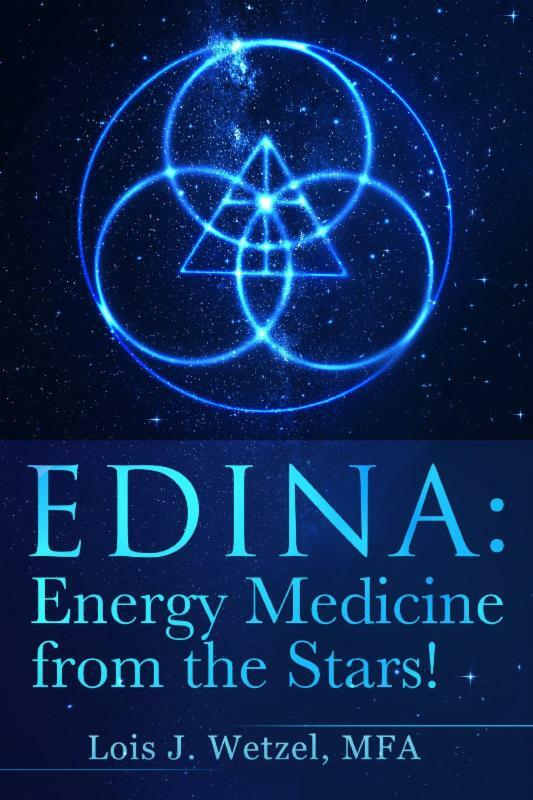 EDINA: ENERGY MEDICINE FROM THE STARS! – by Lois J. Wetzel, MFA. For years human-sized golden beings worked alongside Lois in the massage room. One day five enormous blue beings appeared, conversed telepathically, and healed clients with her forever changing her life and the lives of thousands of clients and healers worldwide who work with them. EDINAHealingTemple.com Amazon. Would you like your book to be “showcased” in our Top 12 Book Pick List? Next book pick list is coming for summer – a great time for reading books. We now offer you a logo with the list to get more recognition for your book. This list is by invitation only. Call Nancy to insure a spot at 805-698-3555 or via e-mail:NancyMills@TheSpiritedWoman.com.